I’ve always thought of Jeep owners as rugged individuals destined for picturesque locations only found by traveling miles of dirt roads, fording rivers and traversing rocky hillsides. Maybe it’s in light of Jeep’s popularity in the off-road market, or maybe it’s just those clever commercials. 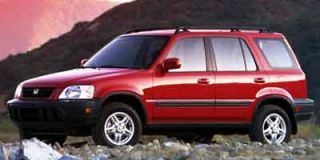 At first glance, however, the 2000 Grand Cherokee doesn’t fit that image. 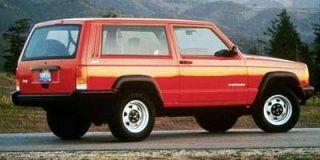 Sure, the profile is a bit more muscular than competitors such as the Lexus RX300, but it’s nothing compared to the hard right angles of its siblings, the Cherokee and Wrangler. 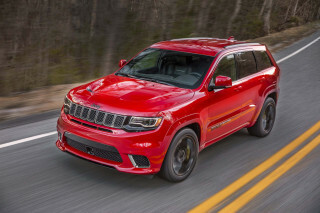 But, despite its demure looks, owners of the Jeep Grand Cherokee can experience both off-road adventure and sybaritic luxury, thanks to a recent renovation that brings the Grand Cherokee even closer to the top-drawer utes. 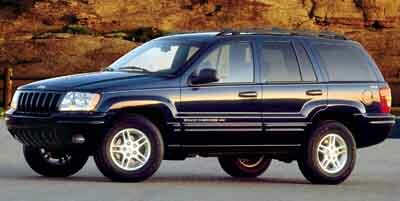 The Jeep Grand Cherokee was redesigned for the 1999 model year; the 2000 models have minimal changes. As with previous years, the Grand Cherokee is available in Laredo and Limited versions, with a 195-horsepower, 4.0-liter, in-line six-cylinder engine coming standard in both models. 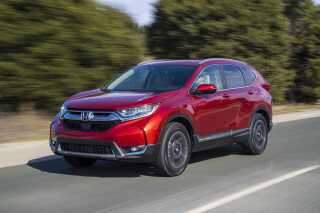 Both two-wheel and four-wheel drive versions are offered on the six-cylinder, which has 12 overhead valves and a sequential, multi-port electronic fuel injection system. Standard towing capacity is 2000 lb and goes up to 5000 lb with the optional towing package. The optional 235-horsepower, 4.7-liter V-8 engine is now available in the two-wheel drive version, beginning with this model year. 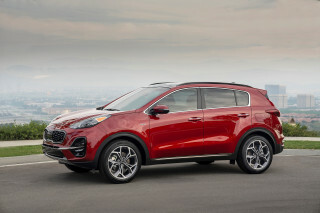 The 4.7-liter features a single overhead cam with 16 valves and electronic fuel injection. Although the standard towing capacity is 2000 lb, an optional heavy-duty towing package makes the Grand Cherokee capable of towing up to 6500 lb with the 4.7-liter engine. Both engines are mated to a four-speed automatic transmission, although the transmission for the V-8 engine has dual second gear. During acceleration, the higher ratio second gear is used to provide better launching capabilities, while the lower ratio is activated when kicking down from third to second gear to provide greater power over a broader range. Initial acceleration is also improved with a 3.00:1 ratio for first gear. 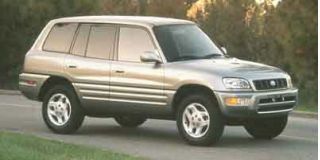 Previously, rear-wheel drive was exclusive to the six-cylinder Grand Cherokees. 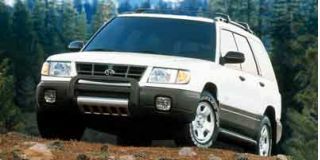 With the 2000 models, owners can choose rear-wheel drive or between Select-Trac or Quadra-Trac four-wheel drive systems, regardless of which engine they choose. Selec-Trac, which provides either part-time or full-time four-wheel drive modes, is now offered on the V-8 as well as the six-cylinder. The Quadra-Drive system comes with the Quadra-Trac II transfer case and Vari-Lok progressive front and rear axles. Quadra-Drive will transfer nearly 100 percent transfer of torque to one wheel, allowing the vehicle to regain traction, even when all other wheels are stuck. 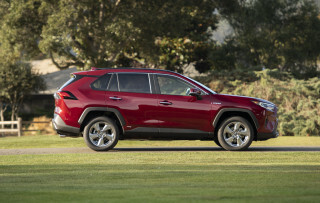 All of the Grand Cherokee four-wheel drive systems are usable on dry pavement. The live axle Quadra-Link suspension absorbs road bumps and holes well, making the overall ride smoother than many SUVs in its class. 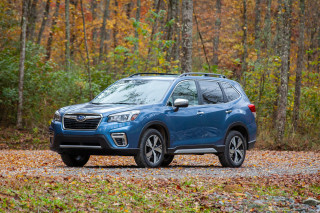 Its front and rear stabilizer bars and gas-charged shock absorbers contribute to solid handling, both on- and off-road under a variety of conditions. Creature comforts on the Jeep Grand Cherokee are plentiful, particularly on the Limited version. 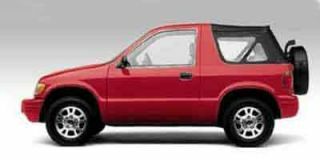 Both models come with a tilt wheel, cruise control, a split folding rear seat; power windows, mirrors and door locks; a roof rack and a theft-deterrent system. An overhead console contains a trip computer, compass and outside temperature gauge as well as map lights. The Limited Grand Cherokee adds dual climate controls, new, softer leather seating and an upgraded stereo with CD player among other features. The 10-way power front seats on the Limited offer driver-side memory linked to the seat position, driver’s side mirror and radio. Nice touches include automatic dimming on the driver’s side and rearview mirrors, automatic headlights and universal garage door opener. Overall, the 2000 Jeep Grand Cherokee offers owners the best of both worlds — rugged off-road capability that you’ll need at Camp Jeep packaged with all the creature comforts you’ll enjoy on your daily commute.